In a rural hospital, a little boy is born without arms and legs because of pesticide exposure. In the fields nearby, a foreman steals half of his employees’ paychecks. In a trailer at the edge of town, twenty five men share two stoves and one bathroom. 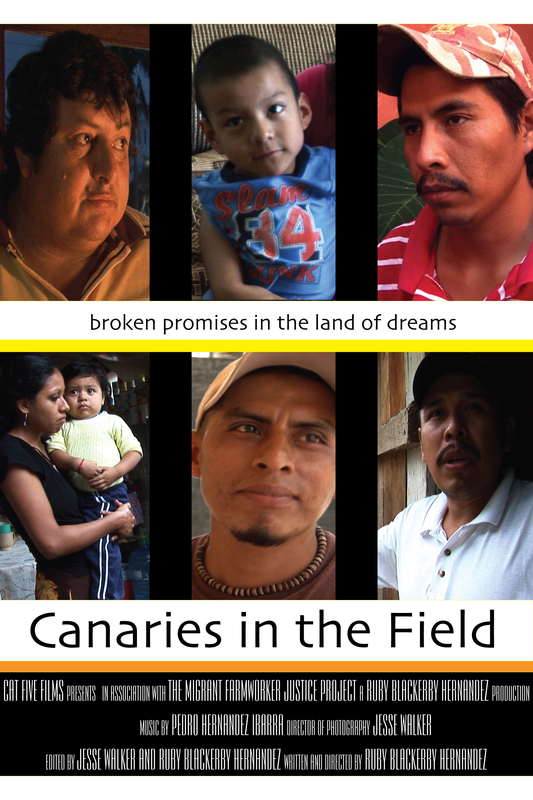 “Canaries in the Field” immerses us in the experience of America’s migrant laborer, some undocumented and some carrying the controversial H-2A visa. 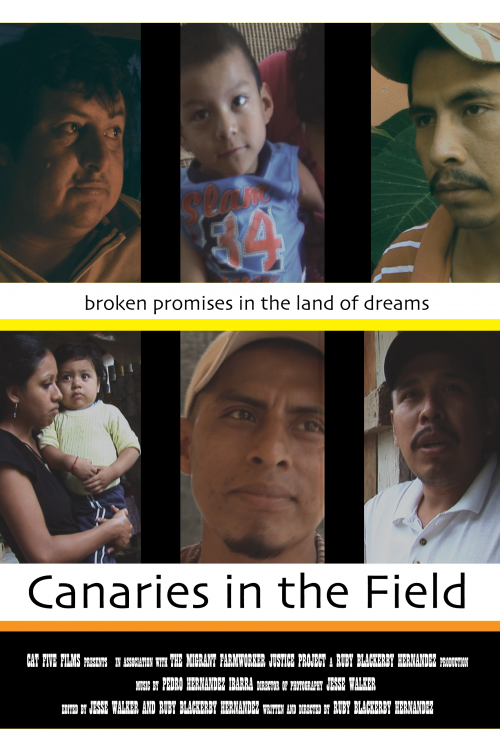 The film takes a trip south of the border to tell the stories of the lives and families of the men and women who pick the fruit, vegetables and tobacco of our agro-industry. The abuses inherent to the H-2A visa guest-worker system explain why the majority of our agricultural workforce remains foreign-born and calls into question: how much has our food industry really improved since Emancipation in 1865?